Handcrafted coffee tables of premium hardwoods. 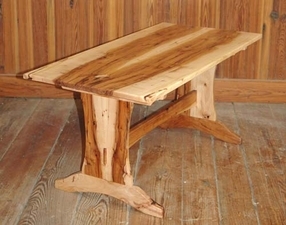 Our tables are known for their unique character and design and offer some of the best quality available. Currently we are offering our tables as custom-order items only. If you would like to know more about our line of tables, please call or e-mail us.